Got a thirst for adrenaline? Sipping cocktails and lounging by the pool all day isn’t for everyone. 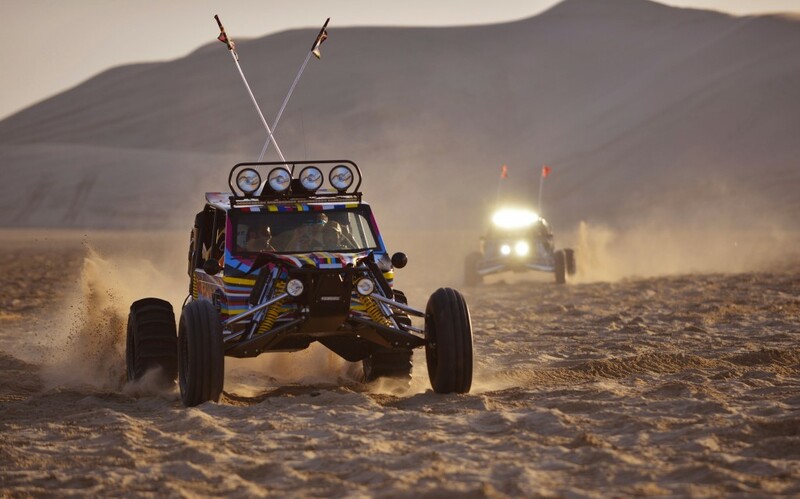 If your vacation has you itching for some seat time behind a dune buggy, read further for some awesome adventures within the states. The vast expanse of desert around Las Vegas means there are plenty of choices for getting your off road fix. Get behind the wheel of a real Baja dune buggy, four wheel ATV, or new style of Razor, which is like a golf cart on steroids. Kick up the sand around the Nellis dunes, close to the Vegas strip, in full and half day adventures. Experience a dune tour of a more civilized manner in Cape Cod National Seashore Park. Hit the trail in an SUV and see endless dunes and beautiful, golden sunsets over the water of the cape. See old dune shacks from yesteryear, natural landscapes of sea grass and pine trees, and nesting seabirds. Florence is the dune buggy epicenter of Oregon. Travel along the coast and up and down the vast dunes in a giant dune buggy tour, something you have to see to believe. This buggy can hold 20 people and looks like a dune bus climbing over the sand. For the more adventurous, try a sandrail tour, a traditional high performance rear-engine buggy that is equipped with paddle tires to dig in and rip over the dunes at high speed. Inland Florida offers terrain of a different type for adventurers. Travel over large mounds of sand, grass tracks, loose dirt, or flat, white sand. Pilot the buggy through twists and turns as the dirt flies. Just remember to keep your mouth closed when you smile!